Heavy duty vehicle lift leader, Stertil-Koni – which serves transit agencies, corporate fleets, municipalities, school districts, utilities, and the U.S. Military across North America –has announced that design and communications professional, Stephanie Smith, has joined the company as a Marketing Associate. 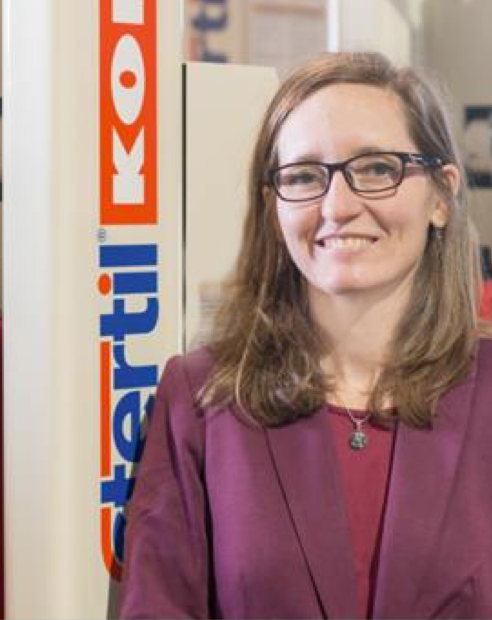 In her new post, Smith is based in the company’s North American headquarters in Stevensville, Maryland. There, she brings an extensive background in visual communications, marketing design, business development, mapping, social media and front-end web design to Stertil-Koni. Smith received her BA in Graphic Design with a minor in Modern Languages and Linguistics from University of Maryland Baltimore County, and her MFA in Visual Communications from the International Partnership Program of The University of Illinois Chicago and The Basel School of Design in Switzerland. Smith resides in the historic and picturesque capital of Maryland, Annapolis. In her spare time she enjoys the great outdoors, organizing community events, art, design, and crafts.